ASSOCIATION MONTESSORI INTERNATIONALE’s US branch organizes a professional gathering every year during Presidents weekend named a ‘Refresher Course’ a chance to reconnect with colleagues and mentors and dive back into our teachings. 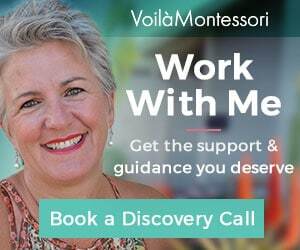 I look forward to these and always come back invigorated with determination and inspiration to share with you how Montessori principles can be understood and applied in your daily life. I shared some take away from Phoenix, during my weekly Montessori Monday Facebook Live. This year’s theme was The Complete Classroom: Preparing the Intangible Environment. 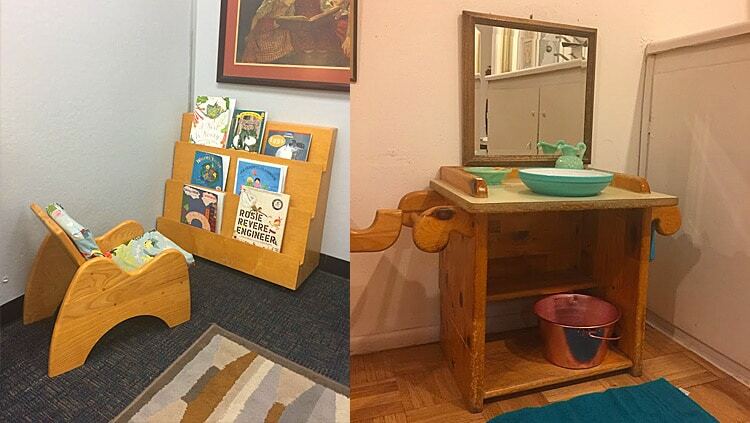 If you have read any Dr. Montessori’s books you know the importance of preparing an environment suitable for the natural development of children. But what about us? Aren’t we a big part of that environment? Now the adult himself is part of the child’s environment; the adult must adjust himself to the child’s needs if he is not to be a hindrance to him and if he is not to substitute himself for the child in the activities essential to growth and development. ~ Dr. Maria Montessori, The Secret of Childhood. 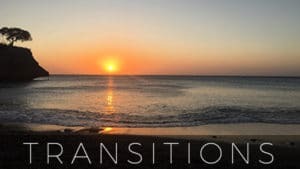 Dr. Montessori writes at great length about the spiritual preparation of the adult, which was this year’s main focus of the session I attended. Having two AMI diplomas I have the option to choose which session to attend. It is never an easy choice but this year I decided to spend two days with my Assistant to Infancy (0-3) colleagues being led by Maria Teresa ‘Chacha’ Vidales, an AMI trainer in Mexico City, Athens, and Vancouver. Her presentation “The Importance of the Adult in the Prepared Environment: Preparing the Intangible Environment” gave us an in-depth understanding and many reminders of the immense responsibility we have in supporting and guiding children to develop their natural and unique potential. The real preparation for education is a study of one’s self. The training of the teacher who is to help life is something far more than the learning of ideas. It includes the training of character, it is a preparation of the spirit. ~ Dr. Maria Montessori, The Absorbent Mind. In working with a multitude of families worldwide this is exactly what I have come to refine over the years, helping each family go beyond simply preparing their child’s physical environment, but more importantly preparing themselves to be in the presence of their amazing little humans. Each new human being has within them the potential to develop into a better version of humanity and this my friend is a big responsibility, for each and every one of us. As parents and educators, we are gifted with this miracle of life which is also an immense responsibility and why it is important to look inward to be able to show up each and every day a better version of ourselves for the sake of future generations. I often talk about the importance of observation to gain a better understanding and knowledge of what our children need. Observation without expectation, judgment or prejudices (not as easy as it sounds). Observation of how children interact with the environment but also an honest observation of ourselves. This will, in turn, guide us to be the joyful, loving and confident guide our children deserve, their birthrights. As adults, we are able to prepare our own environment to thrive and succeed in life yet children depend on us to prepare theirs. The child needs this prepared environment for the task of self-constructing the adult he or she will become. It is thru this interaction that the child will be able to go thru the process of adaptation. Within this prepared environment lies the intangible environment, one we cannot see, smell, touch, one that does not have a physical presence and yet so critical. We have the responsibility to help advance that part of humanity we cannot see and must have a profound love and respect for the unique gifts children have within them. This intangible environment begins to develop at conception as we acquire our attitudes of acceptance (or not) for the child to be. At birth the child is born with three gifts; Love – the energy to live and attach to a secure environment, Intellect – the capacity to understand and adapt and the Will – the possibility of controlling ones’ impulses and actions. From the time the child is born the psychic organs made up of; movement, intelligence, will, language and emotions develop. The interactions between the first three are the essence of the child’s self-construction, which only the child has the power to do. We can only assist by preparing both the physical and non-physical environment. As Chacha reminded us “We can only prepare the soup, we cannot eat it for him”. To prepare both the physical and non-physical environment it is important to understand the child’s fundamental needs and the tools they have to adapt to their time, place and culture. The three fundamental tools the child has to develop are; the Human Tendencies, the Sensitive Periods and the Absorbent Mind. When we understand these and their specific needs we are able to truly assist the child in developing his or her unique potential. More about these on my upcoming my Facebook Live Montessori Mondays. 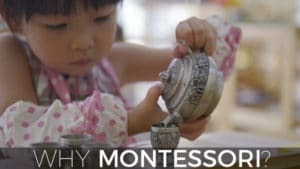 If you are interested in learning more about these and how to apply this knowledge to your everyday life with children my Montessori Parenting Community is the place to be, there we take an in-depth look to better understand Montessori teachings and how to apply them to our daily lives. Another key aspect that was shared is the importance of connecting with nature on a daily basis. The child needs to be connected and interact with nature to understand and absorb the concept that everything has a purpose to keep life in harmony. We cannot ‘teach’ this to the child he needs to experience it for himself. As adults, we are the link to that environment guiding the child to understand it and use it independently. The child needs to feel accepted to have both his physical and non-physical needs met. Accepting the full potential of each child and respecting their uniqueness in the here and now. This is done with a deep love for the child thru the knowledge of their needs. The role of the adult in the prepared environment is to be knowledgeable, to observe and to be able to see the child as a unique person. The creative spirit of the child can only come from independent work and his or her interaction with the environment. The child must trust the environment and this can only be done thru consistency and order of both the physical and non-physical. The intangible environment allows the child to follow his or her inner guide, being joyful and having a role model of what it is to be human. Having acceptance, understanding, respect, and love, allowing for the development of the psychic organs to be in harmony with the flow of life. As for the adult in this intangible environment, we must observe so we can discover a new child each and every day. We must be humble and have a clear understanding of their particular needs. As well as having unconditional love and awareness that we are the role model the child needs and a willingness to transform ourselves. As the custodian of the child’s self-discovery, we must have a deep love, respect, and humility to support each child on their individual path. We have the privilege to witness the miracle of life and with this comes a great responsibility. Observe with an attitude of learning, what does he need, how can I help, who is the child in front of me? Remembering to observe by following the inner laws of development*, not just the behavior. This is done by giving the child the opportunity to interact independently with an environment we have carefully prepared. Knowing that the child is born seeking independence his human dignity. We must respect the child’s need for concentration, which is developed thru manual work and allows him to better understand his environment. Order, plays yet another important role, helping the child develop and categorize his or her thoughts. 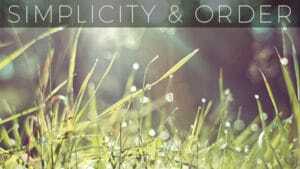 Internal order is developed thru the external order, knowing that deep concentration cannot occur without order. The child becomes our teacher when we take the time to reflect on our observations. As adults, we are the teacher of what it is to be human and the child is the teacher of self-construction. To prepare the intangible environment we must reflect back on what we observed, our own actions and how we feel about them. Asking ourselves how can I serve the spirit of humanity and how can I serve from a place of love. An on-going self-evaluation of both our spiritual and emotional self, a willingness to be introspective. The child needs us to have compassion, understanding, and kindness. The child deserves a joyful adult and a willingness to rediscover the world thru their eyes, keeping our capacity of wonder. Making sure to not introduce our own deviations. We must be interested in life to be able to fall in love with it, to become passionate of the phenomena that we are in the presence of THE CREATION OF MAN and in this way become the model that the child needs for his or her development. The child does not need a perfect adult but one who is willing to work hard to better themselves each and every day. The refresher course always starts and closes with inspirational talks. This year the AMI/USA Board President, Gretchen Hall shared her thoughts in a powerful opening speech. I’m pretty sure all attendees (1000+) were on their feet, a true testament to the important message shared. You can read it here. This was followed by the keynote address given by Alice Waters sharing her own Montessori journey and how she has artfully blended her two passions organic food and education thru her Edible Schoolyard Project – a delicious revolution. On the last day, before the closing ceremony, we were invited to attend a breakfast meeting where Lynne Lawrence, Executive Director of AMI, shared some of the amazing projects Educateur Sans Frontières is involved in. These are always so inspirational and give me hope as to what is possible to bring peace and meaning to so many. 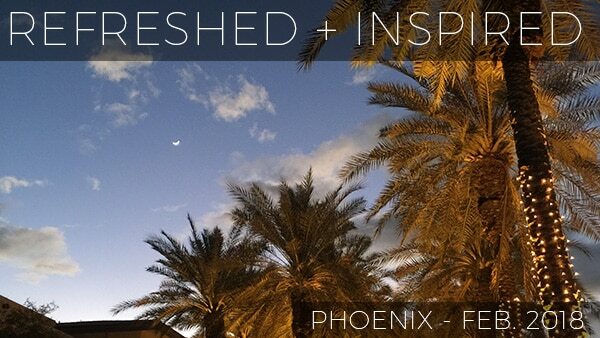 Until next time, the 2019 “Refresher Course” is due to meet in New Orleans.